The Chinese Wild Mand a/k/a Yeren, a/k/a Bigfoot is said to be living in the forests of the Shennongjia region. 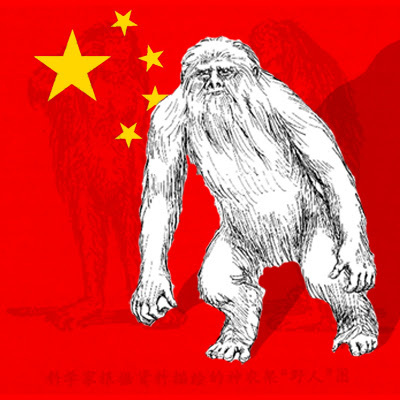 You can click on the following link to learn more about the Yeren, the Chinese Bigfoot. 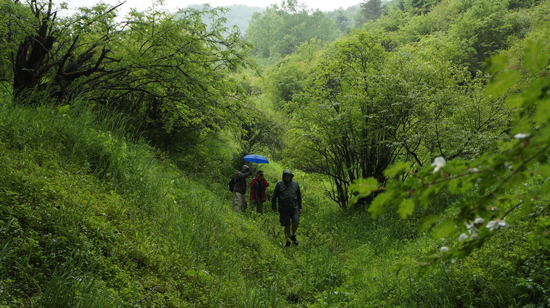 Researchers will start exploring large areas of primitive forest this month in the Shennongjia region of central China's Hubei province, local authorities said Sunday. A group of 38 experts from several universities and research institutions will begin the expedition on July 8, according to a statement from the Shennongjia Nature Reserve's management bureau. The trip is scheduled to last through August, the statement said. The group will focus on studying the region's animals, plants and land features and will publish its research results later, it said. Located deep in the remote mountains of Hubei, the Shennongjia Nature Reserve has long been rumored to be the home of an elusive creature known in China as the "Yeren," or "Wild Man" in English. It is also referred to as "Bigfoot" after the legendary North American ape-man. More than 400 people have claimed to have seen the Yeren in the Shennongjia area over the past century, but no hard evidence has been found to prove the creature's existence. With abundant rain and water resources, Shennongjia is home to more than 3,700 species of plants and at least 1,050 kinds of animals. At least 40 of its plant species and 70 of its animal species are under state protection. The region is also home to the rare golden monkey, which is on the verge of extinction and was first spotted in Shennongjia in the 1960s. The United Nations Educational, Scientific and Cultural Organization (UNESCO) added Shennongjia to its World Network of Biosphere Reserves in 1990. I guess I'd have to battle against the summer heat with one of the dehumidifiers australia units rather than basking myself in the goodness of the forest breeze in the fear of seeing a Yeti. But that's be so awesome, though. HBO's The Newsroom will Pitch, "Bigfoot is Real"